The eastern branch of the Jewish people, the Mountain Jews speak an Iranian dialect, live in the Eastern Caucasus. Although nowadays much diminished in number, the Mountain Jewish community in Russia is still very active. Over the years they have been through harsh persecutions and have been forced to hide their origins. But in the end they have survived and preserved their intense love for their culture. Vladimir and Svetlana Dzhanbekov appear to be the archetypal Russian intelligentsia family – he is an engineer, she is a music teacher and they already have children and grandchildren. But in fact the family, who live in the southern Russian city of Pyatigorsk, in the foothills of the Caucasus, are representatives of a rather rare sub-ethnic group – they are Mountain Jews, part of a community of no more than 200,000 worldwide. The eastern branch of the Jewish people, the Mountain Jews speak an Iranian dialect, live in the Eastern Caucasus – in Dagestan and Azerbaijan – and distinguish themselves from the European Jews, the Ashkenazi. Their acute national self-awareness was formed by a complicated history. While most of the community moved to Israel, the U.S. and Europe following the collapse of the Soviet Union, there are some who have chosen to remain in Russia. "In Kizlyar we celebrated Sabbath with the entire community. Even the elderly people, for whom it was difficult to get up and go anywhere, would join us,” says Svetlana. “The women would get together and bake Challah [white leavened bread prepared for the Sabbath] and sing songs. They even wrote about us in the newspaper. I remember the headline: ‘The Dzhanbekov family brings us surprises,’" she says. 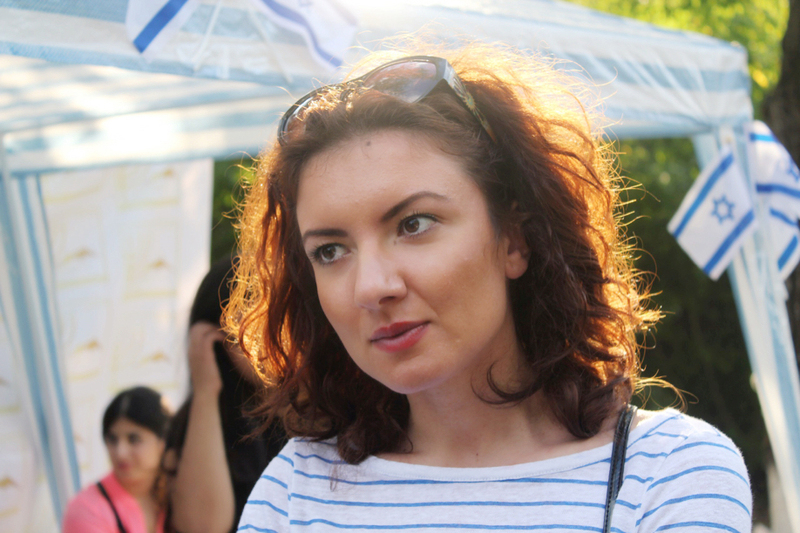 Since the family moved, Svetlana has continued her activities in their new hometown, founding the Mazal women's club. "It all began like this,” she says. “My two friends and I called all the women in the community and invited everyone to the Hafrashat Ritual. This is a special feast when the housewives come together and bake the Saturday bread – Challah. Forty people came!" At the beginning of their life in Pyatigorsk, the Dzhanbekovs often had to see off members of their community who were moving abroad. "Our friends who emigrated to Israel would first come and visit us. The whole house was full of bags, boxes, suitcases," says Svetlana. Many people left, but gradually the situation stabilized and today Pyatigorsk is known as the “capital” of the Mountain Jews. According to statistics, there are more than 8,000 Mountain Jews in southern Russia: in Pyatigorsk, Yessentuki, Kislovodsk and Mineralnye Vody (930 miles south of Moscow). In comparison, in Derbent, Dagestan, a fortress city on the coast of the Caspian Sea, which once had a big community, only 300 families remain. There are various theories on the Jewish migration to the Caucasus. At the end of the 19th century, Russian ethnographer Ilya Anisimov, in his book The Caucasian Mountain Jews, wrote about the similarity between the language of the Tats (an Iranian ethnic group that lives in Azerbaijan and southern Russia) and the Mountain Jews. He concluded that the Mountain Jews are Tats who converted to Judaism. There is also Lev Gumilev's theory on the migration of Iranian Jews from Persia to Khazaria (present-day Dagestan and Chechnya) in the sixth century, before the emergence of Islam. There had been a large and influential Jewish community there that switched from speaking Hebrew to Persian. Anisimov's theory of the "non-Jewish origin" of the Mountain Jews saved many people during the Soviet period, when government persecution led many of them to change their nationality in their documents and call themselves Tats. In the USSR, Jews would hide their nationality from their children, for example, in order to avoid problems at school and to have them accepted into university. While they changed the entry in their documents, they did not betray their way of life and, just like today, desperately resisted assimilation. The Mountain Jews have preserved their traditions practically unaltered. "This is because they lived cohesively and as a rather closed community. For centuries they obeyed the laws of the Torah and believed in the testaments of their fathers. The Mountain Jews have always had rabbinical councils and community councils," says Svetlana Miirova, executive director of the Regional Jewish Congress of the Stavropol Territory. According to Miirova, there is no doubt that a Mountain Jew is ethnically Jewish because the communities did not permit mixed marriages. The Mountain Jews also have the same customs as those in Jerusalem: the same synagogues, the same weddings under the chuppah with two Kosher witnesses and the division of the hall into female and male parts (the men cannot observe the women, while the ladies can peek), and the same adherence to Jewish norms.